I have provided a YouTube link to an 2 minute scene from El Gordo y la Flaca on Univision. Wilmer Valderrama, who played Fez on That 70s Show and is originally from Venezuela, speaks in Spanish about the importance of education. He also describes being bilingual as a gift. This worksheet is fill-in-the-blank and goes along with the video. 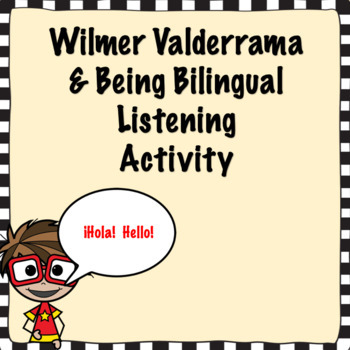 This would fit best with upper level students or native/heritage speakers because Wilmer does talk very quickly in the video.